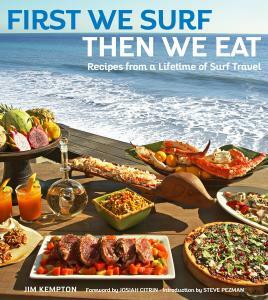 Jim Kempton is a lifelong surfer, cook, and writer. He’s been the editor and publisher of Surfer magazine; the director of Quiksilver’s Crossing Project, a boat that searched the world for the best surf breaks; the director of media for Billabong; and the owner of the former Margarita’s Village, an award-winning regional Mexican restaurant in San Clemente, California. The San Clemente resident is currently the president of the California Surf Museum.